The author is former secretary. Revenue estimate for this fiscal year is Rs.945.56 billion, which is almost 30 percent increase over the revised target of last fiscal year (2074/75). However, Value Added Tax (VAT) target is increased by 44 percent for the same period to Rs. 284.69 billion. Income tax target is up by 32 percent over the same period. The revenue target is set 90 percent as normal and 10 percent as achievable through administrative reforms and tax rate changes. But all collection can be realized through administrative efforts as VAT rate remains unchanged and revenue gain through reversal of some refunds will have dismal impact. Setting high target for VAT collection shows that the government thinks there is much more to collect from VAT from what is being collected today. The fact is that VAT has not been contributing to its fullest potential. The Whitepaper published prior to the budget had highlighted various shortcomings of the existing operation of VAT system. When VAT was introduced it was presumed that its implementation would fundamentally change the landscape of revenue regime. The spinoff effect was envisaged as dramatic. VAT, being a multi-stage taxation, indeed dents magical effect in national tax regime. Its inception augurs a lot of hue and cry mainly because it makes tax net wide and transparent. 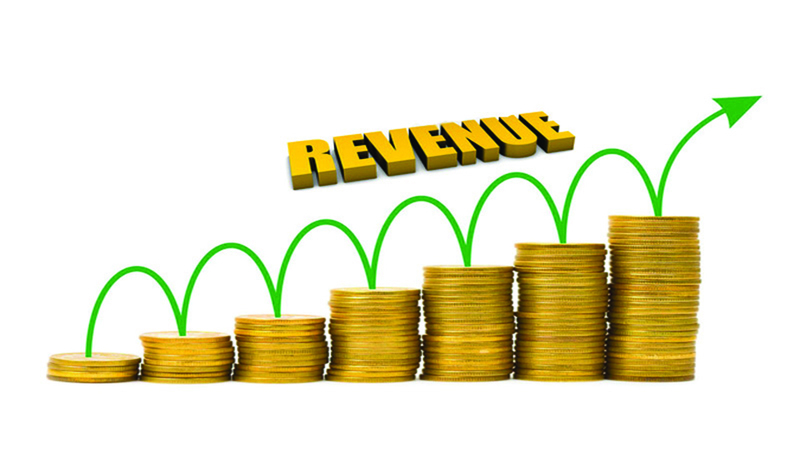 In its ideal form, it is the policy of collecting revenue through invoice trails. The tax credit mechanism enforces the tax system. It is therefore a self-assessed tax. Once the invoice trail is infringed, the system becomes corrupt and administrative intervention will be required. As self–assessed tax, VAT feeds tax evasion too if audit enforcement is lax. Retail sale is its last point because the consumers who, in fact, pay all taxes need not to register, as vendors have to do compulsorily, if they are eligible to register. The vendors do not pay any VAT of their own. They are only the means to collect VAT on behalf of the government. However, traders defy the tax system when matter of compliance arises. They do it either by tampering sales or inflating purchase. Also, they commit fraud by not issuing invoice at the time of sale. Basically, income tax burden arising out of tampered invoicing leads to this situation. Normally the evasion starts at import. Transactions done in cash provide extra incentive to defraud the tax system. As a result, the government not only loses potential VAT, but also subsequent transactions tax owned by the government is also foregone. The traders earn profit at all levels. But the government and consumers are cheated. In fact, the two decades of VAT operation has not let down the government hope except that it has not been running as envisaged. The new budget’s revenue target of VAT therefore hinges on how effectively Inland Revenue Department (IRD) controls evasion up to retail sales. Billing enforcement and strict audit trail of taxpayers can reverse the tepid vat revenue collection at these levels to a certain extent. The magic of catch up effect of tax system depends largely on the control of our porous borders both in south and north and under and over invoicing at the customs points. Since the inception of the tax system they have been a curse for the smooth billing operation. The practice of subsequent billing gets tampered once real invoicing breaks at source. Therefore finance and home ministries have a vital role to curb this practice. Coordination between different government bodies is a must. Almost 65 percent VAT is collected at customs. Therefore, any improvement in valuation and harmonized code would provide a strong impetus to correct billing at subsequent transaction. Thus we need to carry out business transactions through banking channel and through invoicing. Retail point enforcement through tax officers’ market presence will be a sine qua non to address these anomalies. Roping in more transaction through compulsory registration will never serve this purpose as stern market action does. The IRD has been pursuing a forced registration against the norms of VAT without any significant gain. Instead, it has turned out to be a window dressing by the department to show robust tax roll. Compulsory registration does not increase tax compliance. Neither swelled tax roll ensures higher collection. Traders hire consulting accountant to fix monthly VAT returns. No genuine invoices are produced at the time of sale. The hired consultant prepares fake sale and purchase books to evade taxes at the time of filing tax returns. Therefore compulsory registration would only multiply compliance cost without significant tax gain. It encourages fraudulent practices as well. We already have significant amount of VAT arrears. The IRD must fix billing at all tiers of sales. Transaction through cash register at least in urban retail outlets along with market enforcement will mitigate VAT cheating to a great extent. The government will not achieve its VAT revenue if transactions of second and third tier of sales remain weak. As number of debit returns filers remain low at 10-15 percent and domestic VAT collection at 35 percent, it will be really difficult to achieve next year’s VAT target. Audit and investigation is another area to focus for higher vat revenue. Negotiated settlement must stop while auditing. Zero tolerance for corrupt practices need to be pursued at all levels. The IRD needs to screen tax officers and only skilled and professionally sound officers should be assigned to do risky audit jobs. Advance training for auditors would help. Networking of information to get trail of transactions should be augmented. In this regard, good practices along the border should be studied and strictly followed, if possible. The exemption list is still exhaustive. Hence there is a need to streamline the tax administration to achieve the desired level of revenue collection.